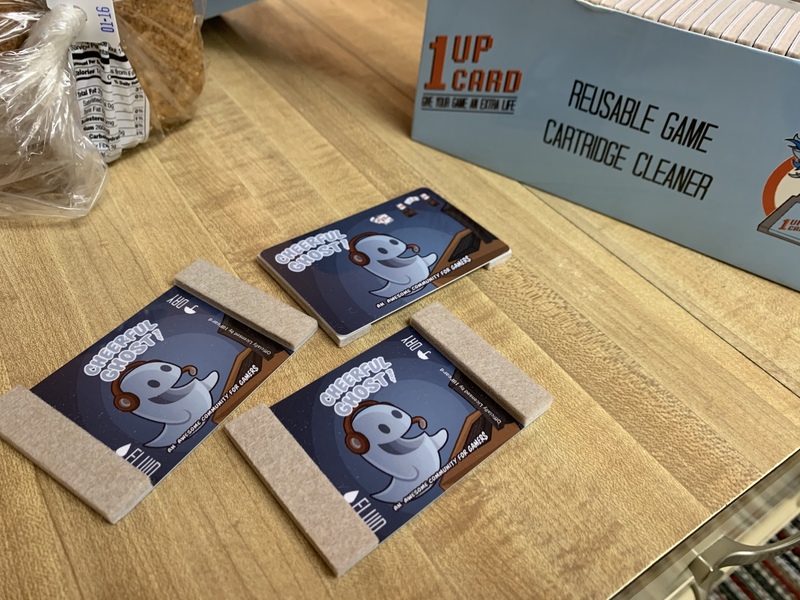 The Future Of Cheerful Ghost - Our First Game Is Coming! 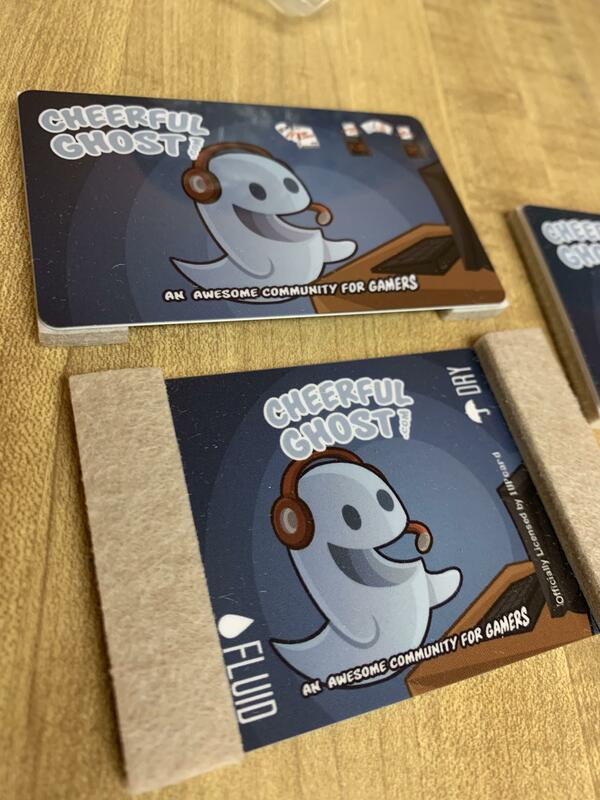 Travis and I have been working over the last two months and finally happy to announce that Cheerful Ghost is in development of it's first game! In 2018 we launched our games BBS featuring the best open source web games you can play as the first step in us getting to the point of creating our own games. Each of the games we launched on our BBS so far are single player games and we think that what makes Cheerful Ghost great is hanging out with other users so each game we create ourselves will be multiplayer at their core. We're not quite ready to drop the full details of our upcoming game yet, but I do want to talk about a few things. Firstly, as I mentioned already each Cheerful Ghost created game will feature interacting with the community as an essential component. I love playing games with friends and some of the most fun experiences I have were playing with them. We're also going to make sure each game we make will be playable entirely from your phone, tablet or desktop browser. I think it makes sense for Cheerful Ghost games to be entirely playable in your browser and means that the way you come to the site is the way you should play our games. When I think about the most fun games from the BBS era, the ones I want to play the most are games that create a vast world deep in lore but simple enough to pickup and play a couple times over the course of your day. The goal is to have our first game out by the end of 2019 but as with any game development timeline, it's possibly entirely wrong. One helpful piece to hitting the end of the year goal is that our first game is fairly simple as it's a fun homage to the BBS/DOS text game era. That said, things come up and we might not hit that date but we'll do our best. **update** We've used the "Link holding a Ghost" graphic a couple times and it's _NOT_ foreshadowing the kind of game we are making. Our game will be VERY focused on the BBS/DOS era graphically. I can't want to play your "Link holding a Ghost" game! But seriously, I know the work you guys are putting into this and I'm looking forward to the game! I look forward to you trying it as well! It's been a lot of fun to design. Nvidia focused heavily on its new ray tracing technology during its RTX showcase. When the technology is ubiquitous enough ray tracing will allow some incredibly impressive lighting that until now was limited to show floor demos and a render farm but recently someone modified Quake 2 to support ray tracing and the results are impressive and you can try right now(assuming you have an RTX video card). Since iD Software released the source for Quake, Quake 2, Quake 3, Doom, Doom 2, Doom 3, etc anyone can take that source and modify it and someone did to retrofit it to support Nvidia's new RTX tech. As always, Digital Foundry has an analysis video and if you are interested in the future of 3D graphics technology, you should check it out. I think we were all very excited about the prospect of a Nintendo Classic styled Playstation that contained the best games of that era. When Sony dropped word that one was coming and that one launch title would be Final Fantasy VII the excitement was very palpable. As someone that missed the Playstation era of gaming I was excited to get one and learn what some of the best games from that system were. That said, when the final list of titles was released it was as if the air was let out of the fan excitement balloon and when the Playstation Classic dropped it didn't land well. I've decided to not write about the Playstation Classic launch until now because I haven't had a lot to say as someone that didn't buy one. Franky none of the reviews game me a reason to pick one up but with the recent release of Cygnus Destroyers Innocent Until Proven Guilty episode, I might. Cygnus gives the unit a fair shake and he notes that at a reduced price point getting one makes quite a bit of sense. The Humble Bundle has released a lot of great game bundles and the latest Playstation Indie Games bundle is a must buy if you own a PS4 and wanted a few more games to play. It's a pretty wide mix of titles such as Grim Fandango Remastered, The Bards Tale remastered, Inner Space, Broken Age, The Talos Principle, Wasteland 2, Layers of Fear, Shadow Warrior 2 and Killing Floor 2 and is $15 to get them all. $15 is a great price for just one of these games and considering some of the proceeds go to charity, even better. I've only recently discovered The Gaming Historians channel and wanted to share one of his new videos covering the Super Mario Land trilogy on Gameboy. Starting with the offbeat Super Mario Land the Mario Land trilogy is unique and nothing Nintendo has quite replicated recently. I'd love a new take on these old games with the strange mechanics and new characters as Wario was first introduced in Mario Land Six Golden Coins and later featured as the protagonist in his own game. "The Super Mario Land series was Nintendo's attempt at bringing the Super Mario franchise to the Game Boy. But it was also the first time Mario creator Shigeru Miyamoto would not be involved. Learn all about the history of this series and the impact it has left on the Mario franchise!" The classic Don Bluth animated video game Dragon's Lair Trilogy is coming to the Switch eShop January 17th! I had a love hate relationship with Dragon's Lair as I really enjoyed playing it but found it was of the more punishing arcade games I've played. Playing on the Switch without having to pump in quarters sounds like the best way to play it and I hope the Dragon's Lair Trilogy does well and gets a physical cart release (it got a Wii physical release). "In Dragon's Lair, you play the heroic Dirk the Daring, a valiant knight on a quest to rescue the fair princess from the clutches of an evil dragon! Dragon’s Lair II: Time Warp once again has you leading Dirk on a perilous quest! Spirited away to a wrinkle in time by the evil wizard Mordroc, Princess Daphne will be forced to marry the wicked Mordroc unless Dirk can save her. Once the casket of doom has opened, Mordroc will place the death ring upon Daphne’s finger in marriage, and she will be lost forever in the Time Warp." The PS4 ce version should be showing up in my collection sometime early this year.